Keep in mind that the thinking of alchemist Neri was that the sulfur acted upon the metal, but did not necessarily combine with it. From his point of view, the exposure resulted in the metal’s infusion with new properties. The Aristotelian conception of the world was that everything under the sun contained various amounts of four elemental essences: air, water, fire and earth. Sulfur was seen to be dominated by the latter two, ‘fire’ because it burned easily and ‘earth’ because it occurs as a solid. In the sixteenth century, a Swiss physician named Paracelsus developed an extension of the four-element system. 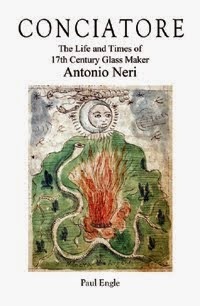 After his death, his writings enjoyed a new popularity among chemical experimenters in the period that Neri came of age. Since his teenage years, the work of Paracelsus was a strong influence on both Neri and separately on his benefactor, Florentine prince Don Antonio de’ Medici. 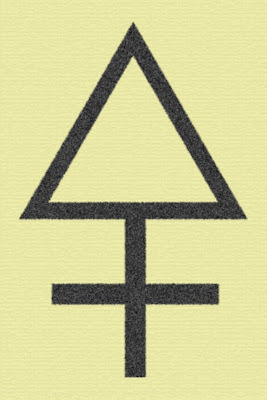 According to Paracelsus, sulfur was one of a triad of “principles” consisting of salt, sulfur and mercury. These three had philosophical as well as physical interpretations attached to them. Besides other applications, like in medicine, the three physical materials figured prominently in efforts to transmute one metal into another. Chemically, copper had already been dissolved in the acid, forming a copper sulfate solution. But sulfuric acid shows a preference for iron. When the copper solution flowed over iron tools, it took up the iron and dropped the copper, depositing it in a thin layer. The effect appeared to be a transmutation of iron into copper. Further testing and scrutiny confirmed that pure iron, when exposed to the mine fluids resulted in real copper. Neri for one was well aware that the vitriolated water might have arrived containing copper, as he explains in his manuscript Discorso. But apparently, it did not occur to him that the water leaving the scene might have contained the iron. If he had made the connection, the observation would have advanced the understanding of both ion-exchange chemistry and the principal of conservation of matter; these were two ideas that would not be explored seriously for another hundred years. Well into the eighteenth century, the mine at Smolnik, (now in Slovakia), was a highly touted tourist destination for chemical experimenters. For some, it was considered among the strongest evidence that transmutation could and did take place in the natural world. I like this demonstration so much because it works the same way as a parlor trick; while we are so intently focused on the metal changing before our eyes, Mother Nature quietly slips the copper in with one hand and takes the iron away with the other, no one the wiser. The effect had previously been described Georgius Agricola, in book 5  of Nature Fossilium. See edition, transl. from the first Latin edition of 1546 by Mark Chance Bandy, Jean A. Bandy (New York: Mineralogical Society of America, 1955), p. 188. *This post first appeared here on 7 November 2014.